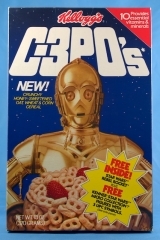 In 1984, Star Wars finally got it’s own breakfast cereal, C-3PO’s. 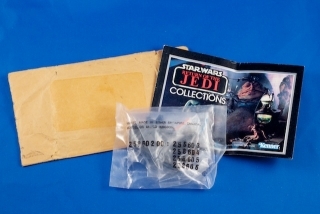 There were various versions/promos on the boxes and probably the one most remember are the masks that you could cut out on the back. 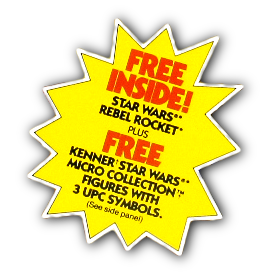 However, some boxes had an offer for 4 free Kenner Micro Collection figures. 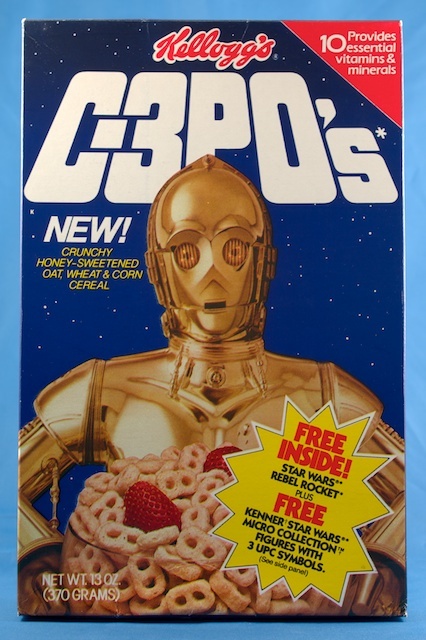 Those same boxes also included a free rebel rocket inside the box. 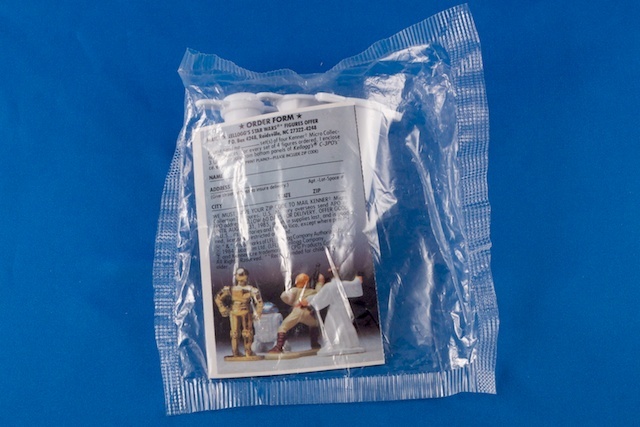 The Rebel Rocket was sealed in plastic and also inside was the order form for the 4 free figures. 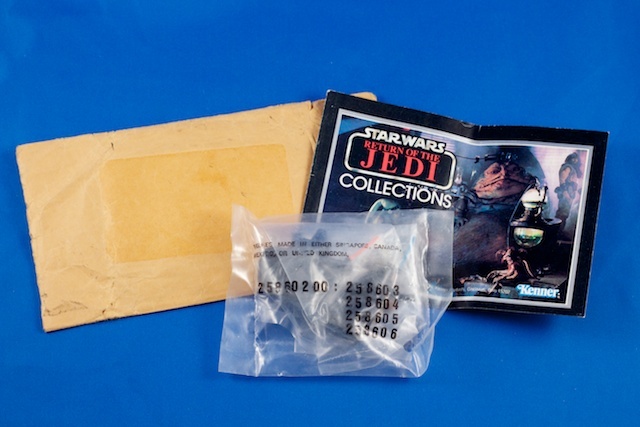 The offer expired on August 31, 1985. 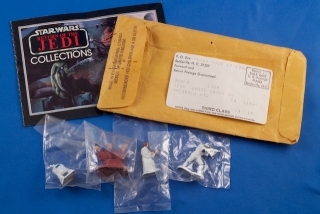 At one point some collectors hypothesized that these all shipped with the same sets of figures, but another collector who’s done extensive research on the micro line had some info as to why this could appear this way with a limited sampling, but not that all would have shipped the same. Kenner received figures from their paint vendor in small boxes that arrived in sets of 4 (of the same playset/vehicle). 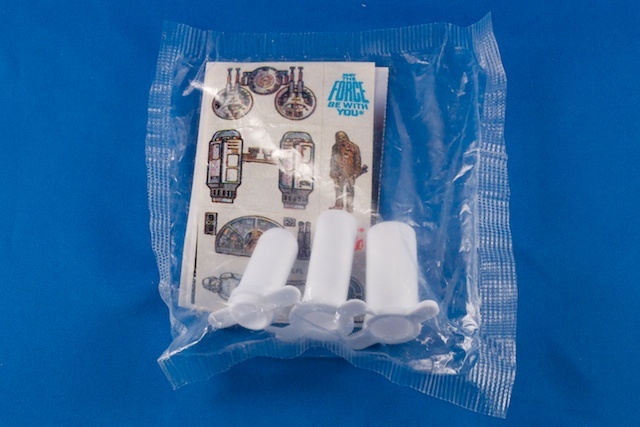 It just so happened that Kenner was simply working through the stock in subsequent order (making random sets) as was needed making it appear that there was a rhyme to the reason.